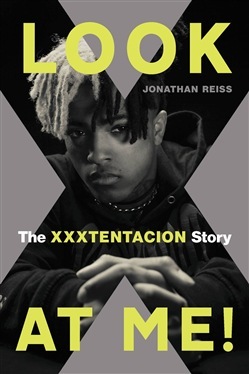 A Rolling Stone journalist's biography of SoundCloud sensation XXXTentacion, murdered in June of 2018 Rapper Jahseh Dwayne Onfroy, aka XXXTentacion, was gunned down during an attempted robbery on the streets of Deerfield Beach, Florida, at the age of 20, having signed a $10 million record deal with Empire Music just a few months prior. A huge success in the world of SoundCloud rap, he achieved stellar levels of success without the benefit of a major label or radio airtime. A truly independent artist, XXXTentacion flourished via his passionate and unfettered connection to his fans. Unlike most SoundCloud rap, XXXTentacion's music doesn't dwell on money, partying, and getting high. He wrote about depression, suicide, and other mental health issues, topics that led to an outpouring of posthumous thanks from fans who found comfort and support in the musician's work. It was XXXTentacion's vulnerability and insecurities that helped him stand apart from artists obsessed with being successful and "cool." That's not to say he didn't have his share of troubles. He had a number of legal issues beginning in his teenage years and was even in jail when his first single dropped. However, Look at Me! is not the tale of a life gone wrong but rather one of a life redeemed--and then cut short. Through the memories of the people who knew him best, Look at Me! maps out the true story of an unlikely cultural icon and elucidates what it was about him that touched the post-millennial generation so deeply. Acquista Look at Me! in Epub: dopo aver letto l’ebook Look at Me! di Jonathan Reiss ti invitiamo a lasciarci una Recensione qui sotto: sarà utile agli utenti che non abbiano ancora letto questo libro e che vogliano avere delle opinioni altrui. L’opinione su di un libro è molto soggettiva e per questo leggere eventuali recensioni negative non ci dovrà frenare dall’acquisto, anzi dovrà spingerci ad acquistare il libro in fretta per poter dire la nostra ed eventualmente smentire quanto commentato da altri, contribuendo ad arricchire più possibile i commenti e dare sempre più spunti di confronto al pubblico online.